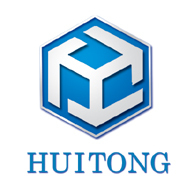 HUITONG CHEMICAL ENGINEERING TECHNIQUE CO., LTD. is a technology transferring and engineering Company in China. It specializes in technology transferring and engineering of Polymerization Plants of Polyester (PET, PBT), Nylon 66 , Nylon 6, Solid State Polycondensation, Hydrogen Peroxide¡¢Dimethyl Carbonate and Industrial Wastewater Treatment. HUIONTG can supply outstanding quality, considerate service and favorable price to the customers all over the world. Oerlikon Barmang, a division of Oerlikon Textile GmbH & Co. KG, with sites in Remscheid, Chemnitz, Wuxi and Suzhou (both People’s Republic of China), was founded as Barmag AG in 1922. The company is the world market leader for spinning systems and equipment for manmade fibers, such as polyester, nylon and polypropylene, and texturing machines and-as a service provider-offers engineering solutions for the entire textile value added chain.